Written with warmth and humor, as well as eyes-wide-open practicality, Hutton's book is a guiding light to women diagnosed with breast cancer. When Hutton was diagnosed at 41, she searched for—but couldn't find—practical information about how to navigate her new reality. 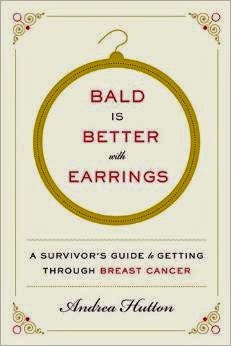 What might she (really) expect from chemo, radiation, surgery, hair loss, fatigue, nausea, emotional pitfalls, support, etc? For the 1 in 8 women who will journey down this path, Hutton offers welcome insights, tips and stories in this indispensable guide.